Anna Todd is the New York Times and #1 internationally bestselling author of the After series. Hailed by Cosmopolitan as “the biggest literary phenomenon of her generation,” Anna began her literary career on the social writing and reading platform Wattpad. Published on Wattpad in 2013, After has over 1.5 billion reads on the site. The print edition, published in 2014 by Gallery Books, has been published in over 30 languages and is a #1 bestseller in Italy, Germany, France and Spain. Paramount Pictures acquired film rights to the series with Offspring Entertainment (Step Up franchise, Rock of Ages) set to produce. Anna received the award for Best New Romance Writer from the New Romance Festival in the fall of 2016. 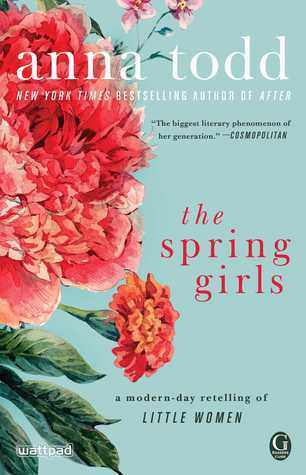 Her next book, The Spring Girls, is set for publication in January 2018 and will be a re-imagining of Louisa May Alcott’s classic, Little Women. Anna Todd was born in Dayton, Ohio. She and her husband currently live in Los Angeles with their dog Watty.